TRC has created an online repository that houses installation and technical information that will extend the useful life of your Drive Train products and decrease common failures caused by improper installation procedures. Drive-Trainer is our customers' solution for technical data, installation tips, and general help regarding a product purchased from us. Our goal is to give our customers all of the information they need to successfully install and maintain their drive train product. Providing this information will help keep the product within warranty guidelines and prolong the life of the product. 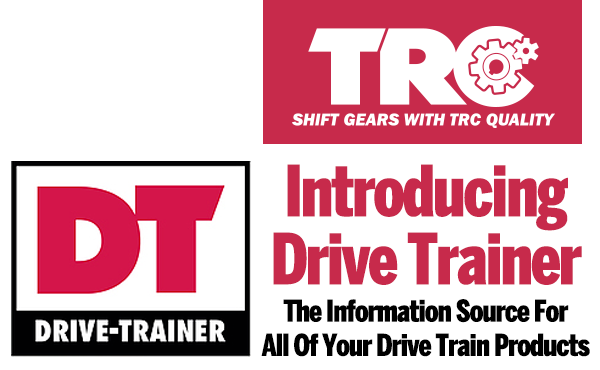 As Drive-Trainer grows so will the product knowledge of our current and future customers. Review our technical website by clicking the link above. We not only provide you with the product you need, we also provide you the information you need.